In commemoration of International Day Against Homophobia and Transphobia (IDAHOT), the Gala Dinner will celebrate and recognise the exceptional dedication and accomplishments of individuals, companies and organisations in promoting LGBT+ equality and inclusion in the Hong Kong workplace and community. Community Business will announce the results of the LGBT+ Inclusion Index and reveal the winners of 5 LGBT+ Inclusion Awards. Expect a fundraising dinner including networking reception and dinner, with award ceremony and silent auction DRESS CODE Black Tie with a Flair of PRIDE! 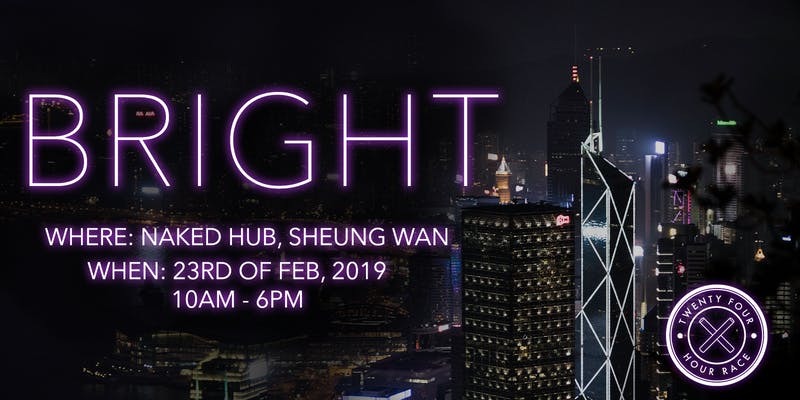 *discounts apply based on your participation in the 2019 Hong Kong LGBT+ Inclusion Index. About : Community Business is a not-for-profit organisation whose mission is to lead, inspire and support businesses to have a positive impact on people and communities. Founded in 2003 and based in Hong Kong with a presence in India and the United Kingdom, Community Business works with companies of all sizes and from diverse industries across Asia, harnessing the power of business to drive social change. A recognised leader in advancing responsible and inclusive business practices in Asia, Community Business facilitates networks, conducts research and events, leads programmes and campaigns and provides training and consultancy. This coming 23 February 2019 the 24 Hour Race is hosting its first entrepreneurship and awareness conference. Want to hear from world-class, highly successful entrepreneurs? BRIGHT is an exclusive conference for high school students who are passionate about social entrepreneurship or want to learn more about it. 24 Hour Race is pairing ambitious students with successful entrepreneurs. If you think this conference is for you, hurry up and register. 24 Hour Race has a limited intake of 120 people. 24 Hour Race will be bringing in speakers from various anti-human trafficking and social right movements to share with us the importance of facing issues head-on. The event costs HKD 150 and it includes material, food, and more! They run 24 hours races once a year to advocate for the millions of men, women, and children locked in the chains of slavery today. Applications for the 2019 Young Advocates Programme are now open. Please click here to read Justice Centre’s detailed information pamphlet. What is the Young Advocates Programme? : The Young Advocates Programme (YAP) is a unique programme for high school students to gain hands-on experience in a non-profit setting. Through the intensive programme, Young Advocates engage in all areas of Justice Centre’s work, from the provision of legal and psychosocial support to refugees, to anti-human trafficking research and advocacy. 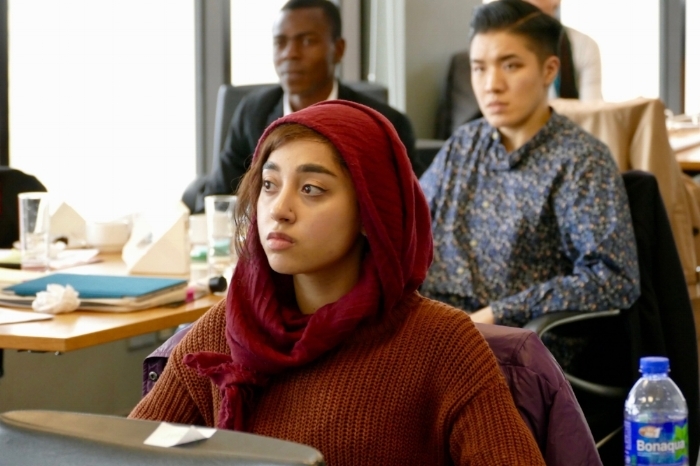 Young Advocates also receive one-to-one personal coaching and mentorship from Justice Centre’s highly-qualified international staff lawyers and policymakers, helping students develop important skills, knowledge, and experience as they begin applying for university courses. Who can apply? 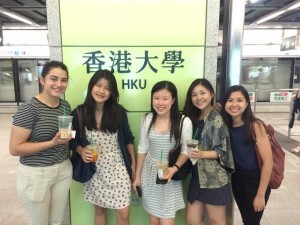 : YAP is open to students who have Hong Kong residency and are aged between 15 – 18. Young Advocates should have a keen interest in human rights law, NGO management and refugee rights. The programme is aimed at students interested in a career in law, psychology, social sciences, human rights, politics, or NGO management generally. Places are limited to four Young Advocates per programme to allow Justice Centre to offer a tailored programme to each Young Advocate. Programme dates: Justice Centre runs four programmes per year; one in the spring and three in the summer. Open evening: If you would like to find out more about the YAP and Justice Centre’s work, Justice Centre will be hosting an open evening and information session for prospective applicants at Justice Centre offices at 6:45pm on Thursday, 17 January 2019. About Justice Centre Hong Kong: Justice Centre Hong Kong is a non-profit human rights organisation working fearlessly to protect the rights of Hong Kong’s most vulnerable forced migrants: refugees, other people seeking protection, and survivors of torture, human trafficking and forced labour. 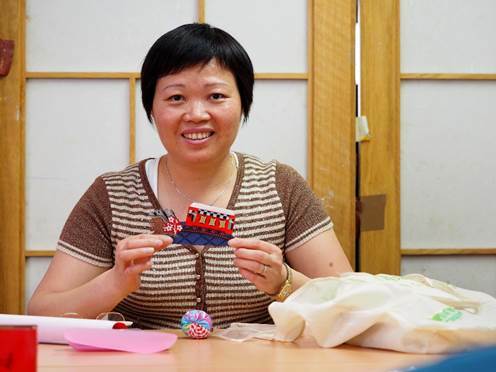 Launched in 2014, Justice Centre Hong Kong was formerly Hong Kong Refugee Advice Centre, which over seven years, helped more than 2,000 refugee men, women and children on the road to a new life. 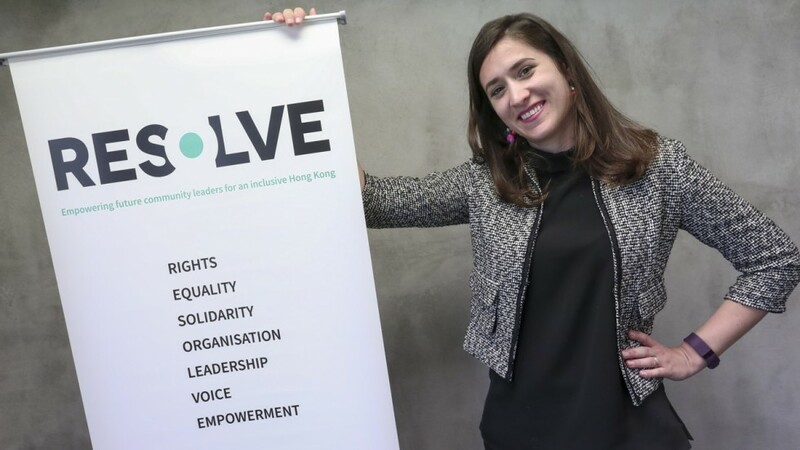 Building on their expertise in refugee issues, Justice Centre Hong Kong identified a clear need for an increased response to tackling forced labour and human trafficking in Hong Kong, and expanded their remit to fill this gap. Justice Centre Hong Kong advocates with and for forced migrants, bringing their voices into the public debate. Justice Centre Hong Kong campaigns for legislative and policy change, conduct research and work with the media and civil society to fight root causes and change systems and minds. Justice Centre Hong Kong provides people seeking protection in Hong Kong with free and independent legal information and specialised legal and psychosocial assistance. Justice Centre Hong Kong receives no government funding. Instead, Justice Centre Hong Kong has spearheaded an innovative pro-bono working model that sees leading international law firms provide financial assistance and donate hours to help with legal research and support. Justice Centre Hong Kong also harnesses funding from a variety of trusts and foundations and through individual donations. The Christmas Fair of the year is just around the corner. 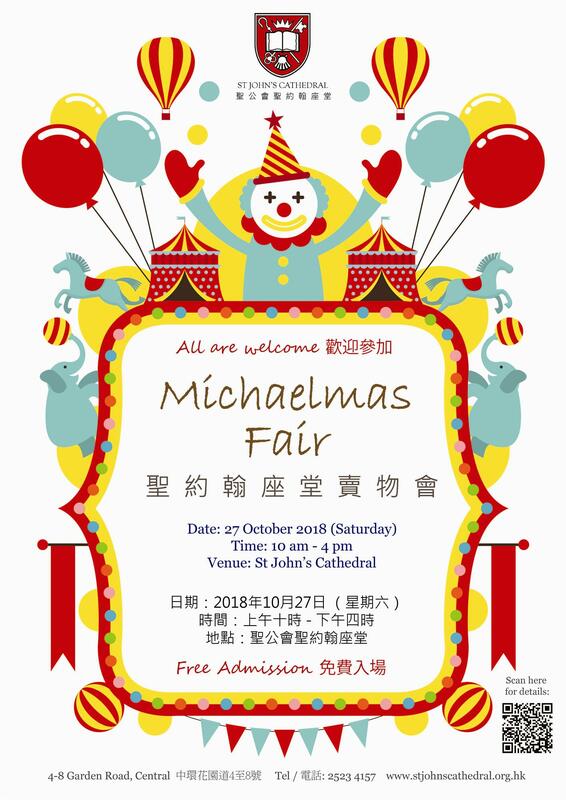 Michaelmas Fair at St. John’s Cathedral is a Hong Kong institution, with game stalls, marching bands, second-hand clothes, white elephant, charity stalls, and tons of Christmas gift ideas! If it’s Christmas cards you are after, they have those too, or pop into the Cathedral’s Bookstore which stocks probably the largest collection of charity cards in Hong Kong. Hong Kong has 1.35 million people living in poverty and over 728,400 are women (54%). Many women are in a disadvantaged position, as they have to take care of their family and cannot work full time. In order to support women in need, SoCO has partnered with Les Beatitudes to provide training to over a hundred mothers on hand made bags and leather goods. 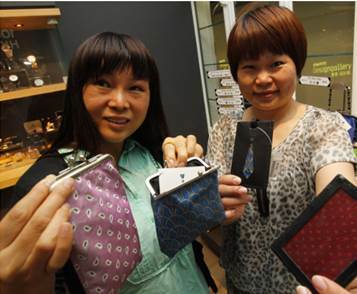 They encourage men to support by donating their neckties as material to re-use and recycle, a ”HeForShe” project. Through the handmade arts and crafts, the story of the city is retold through interesting and uniquely Hong Kong heritage and transportation all via collage designs. ‘Tie．Journey．她’ is a special exhibition created by grassroots sewing mothers and local artists which depict Hong Kong local specialties. It also demonstrates how men and women can bond together and support each other on their life journey by simply sharing a necktie. About Society for Community Organization: Society for Community Organization (SoCO) is a human rights pioneer in Hong Kong. SoCO firmly believes that everyone should be entitled to equal rights. Equal opportunity for participation and fair distribution of social resources is the foundation of human rights. In the face of the widening disparity between the rich and the poor, and the increasingly restrictive political arena, we stand firm in our crusade to establish an equal society and to build a strong power base for the people. We are motivated by a common dream, and that is: “Let us work hand in hand and shoulder to shoulder to build a caring, equal and just society“. Hong Kong is one of the most vibrant and prosperous cities in Asia. Yet if has one of the highest inequality levels in the developed world. Many vulnerable groups persist in poverty and social exclusion generation after generation. Social exclusion is not just about material deprivation, but also about marginalization, discrimination or a lack of agency and voice in society. Resolve invests in emerging leaders, particularly from historically marginalized and underrepresented communities, so they become social catalysts to bring about positive change to their communities. Women’s organizations in Hong Kong have been working hard to strive for gender equality. Over the years, they have significantly raised women’s status in society. However, many of them are finding it increasingly difficult to secure funding to continue their valuable work. In late 2001, several long-time women activists in Hong Kong embarked on a project to set up a women’s fund. The idea received support from Mama Cash (Netherlands), Global Fund for Women (USA) and the Hong Kong Women’s Coalition on Equal Opportunities. In 2002, the group undertook a study on the funding needs of women NGOs in Hong Kong and in 2003, Hong Kong Women’s Fund (Preparatory Committee) was formally registered as a society. In 2004, the society set up HER Fund Limited. They received their charity status and tax exemption (IR File No. : 91/7393) in June 2005. HER Fund envisions a society that will secure and promote the human rights for all, without discrimination on any grounds, and in all areas of life and work. HER Fund advances women and girls’ rights through grant-making, capacity building and resource development. They give financial grants to improve the situation and protect the human rights of marginalized and grassroots women. Are you looking for a meaningful way to explore and share your unique talents? Become a HER Fund Volunteer and give a gift of time to help them promote the human rights for all women. HER Fund would greatly appreciate any help you can offer! Professional support: HER Fund needs talented volunteers to give them advice and support help them in communication, marketing, fund raising, IT support, accounts, financial analysis, etc. Programmes support: Assist HER Fund at fundraising events and educational programmes, including photoshooting, video recording, reception, etc. Office support: Assist HER Fund in data entry and administrative work during office hours. Free support: You can help translate documents, typesetting, designing, etc. at home at anytime. If you are interested in volunteering, please follow this link to download the application form.